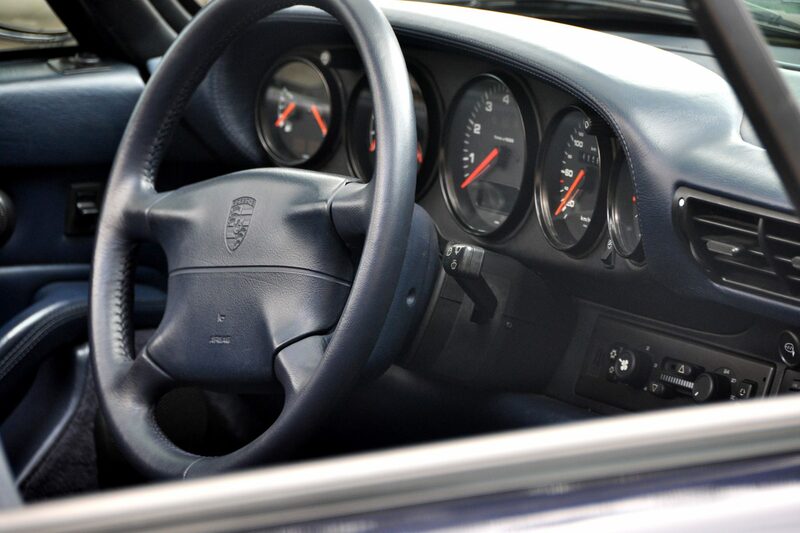 Porsche has always been amenable to creating special road cars for its favoured clients; such orders were normally directed to the Porsche Exclusive Department, formerly known as the Special Wishes office. There, for an often-considerable price, would be crafted automobiles that fell outside what might be considered normal production parameters; in other words, these were ‘bespoke’ automobiles with hand-selected features. 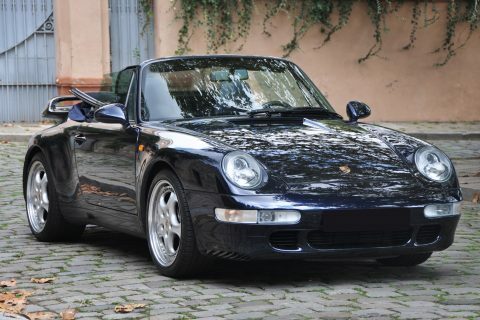 Here is one such example, from a group – no more than 14 units – of 993-series cabriolets from model year 1995 ordered by Kaspar Haberl’s MAHAG Porsche distributorship in Munich. Their VINs open the door to something far out of the ordinary; you will not find them listed among the most commonly referenced Porsche databases. 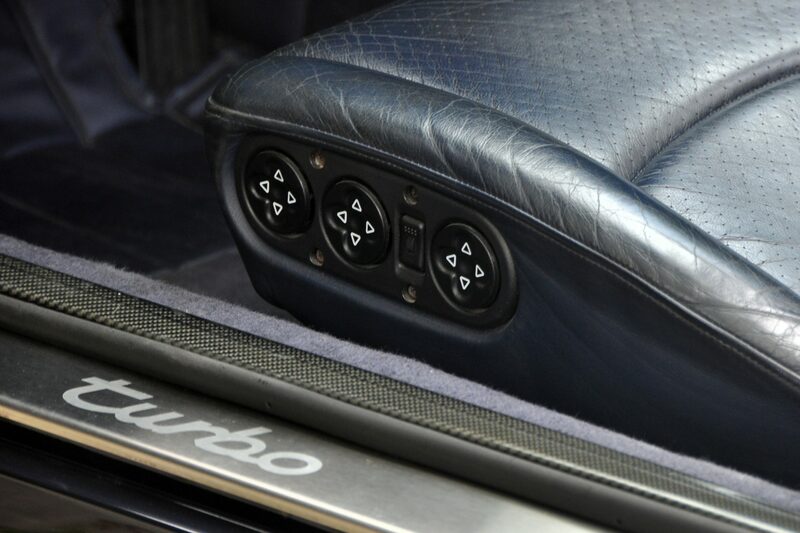 In fact, Porsche never offered this specific variant in an official sense. 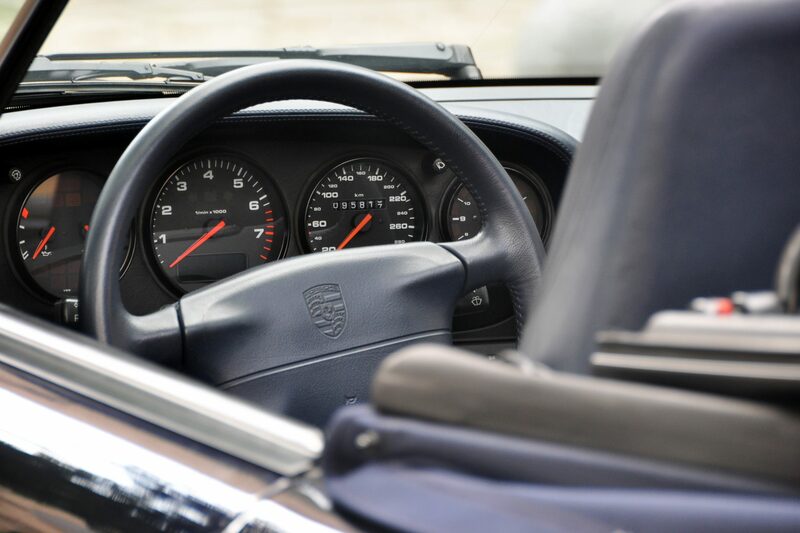 The company had not produced a 911 Turbo in cabriolet form since the demise of the G-series 3.3 in 1989. The 993 Turbo cabriolet website notes that with the 964 Turbo model out of production and no 993 turbo package in the offing until at least 1995, the only possibility for a customer who demanded one was to have a car built to order – always a costly proposition. That is where Haberl entered the picture. After seeing the gracefully styled 993 cabriolet at its introduction in Geneva in 1994, Haberl approached Porsche management to pitch the idea of a limited-edition Turbo version. 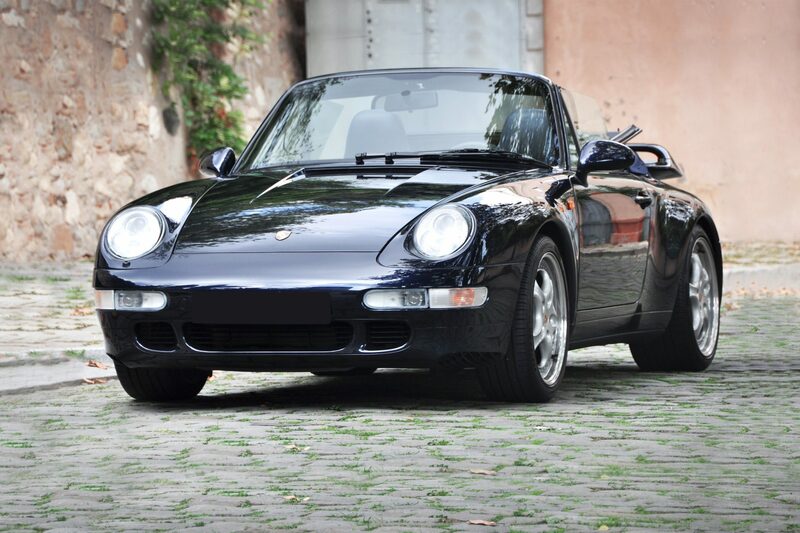 Porsche agreed, if Haberl would agree to purchase at least 10 cars, which would of course reduce the per-unit price. Haberl did not blink; the order was quickly confirmed and work began at Porsche Exclusive. Plugging the M64/50 3.6 Turbo engine and associated G50/52 five-speed transmission from the 1994 964 Turbo into a 1995 993 was not as simple as it might seem; there were numerous differences in the new convertible’s rear-quarter sheet metal, both internal and external, from that of a Turbo coupe. However, anything can be accomplished by skilled engineers and craftsmen, especially with enough room on the bottom line. 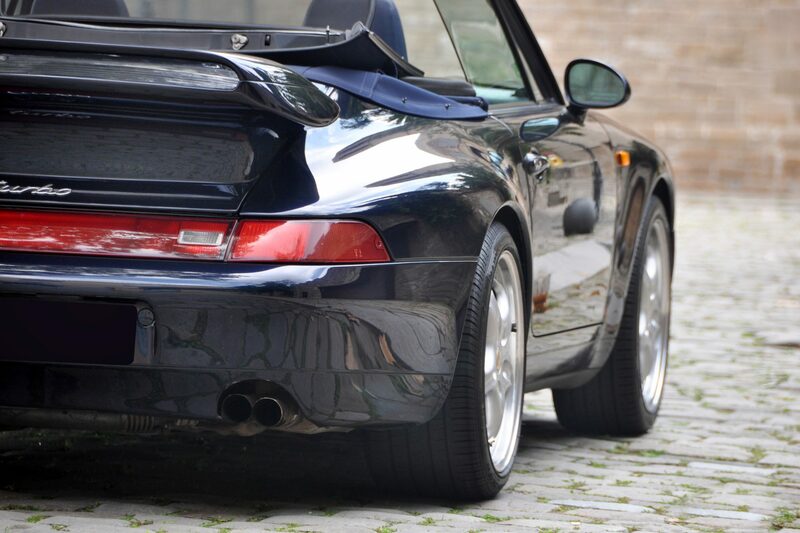 In this case, installing the 360-horsepower single-turbo flat-six, the stronger manual transmission with rear-wheel drive, the widened Turbo bodywork and rear deck spoiler of the 964 3.6 Turbo S, bumped the price of these hybridized cabriolets to a breath-taking DM 264,000, a premium of DM 112,000 over the price of a standard 993 cabriolet. 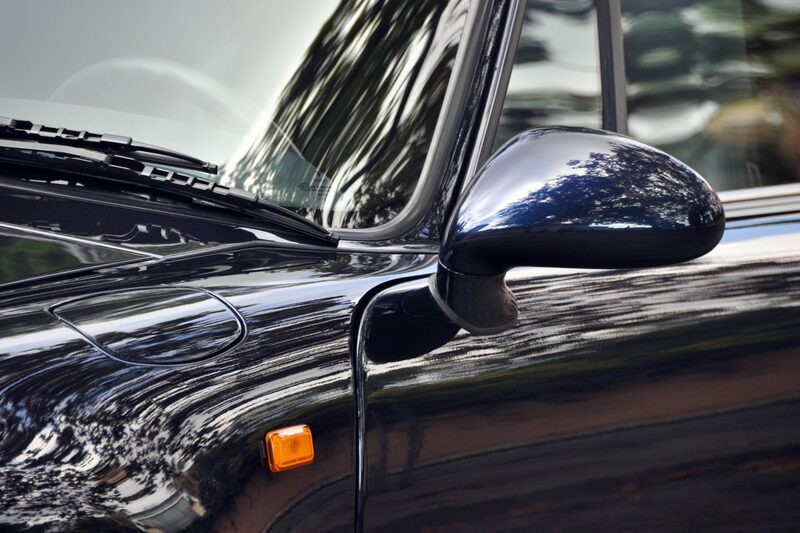 The 993 itself was a major improvement over its predecessor, the 964. Only a few components were carried over. 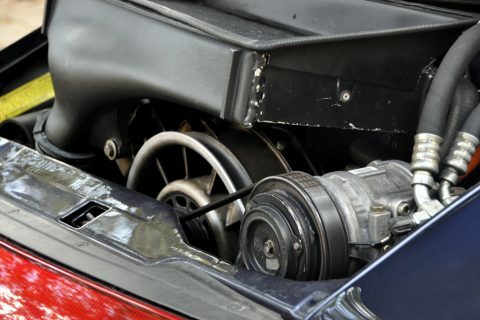 The entire rear suspension was re-engineered; gone were Porsche’s traditional rear trailing arms and transverse torsion bars. In their place was a new light-alloy multi-link system utilising coil springs and wishbones called LSA, which the factory said stood for ‘lightweight, stable, agile’. In front remained torsion bars and coil-over struts. The Porsche 993 Turbo Cabriolet which we offer here is chassis WP0ZZZ99ZSS338503 and is the 3rd example out of only 14 cars produced by the Porsche Exclusive department. 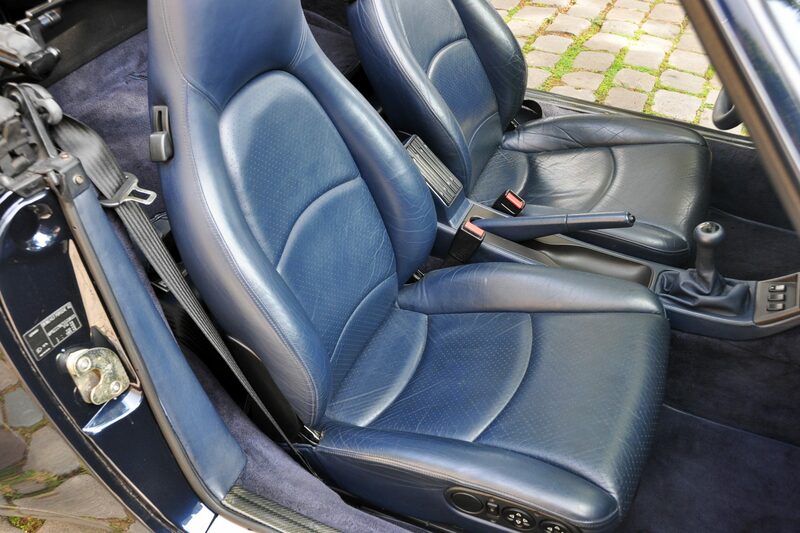 It was delivered in dark blue with blue leather to the interior, a combination which it still wears today. 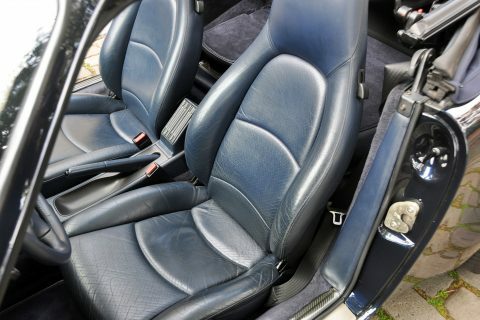 WP0ZZZ99ZSS338503 was sold new to H.J. Küpper of Essen in Germany, on 21st December 1994, just on time for Christmas. 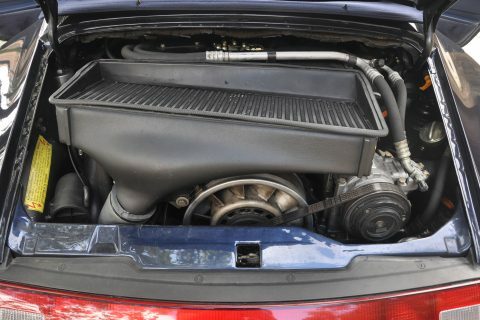 The car would remain in Küpper’s ownership for the next two decades and maintained almost exclusively by Porsche of Essen on a very regular basis during all these years. 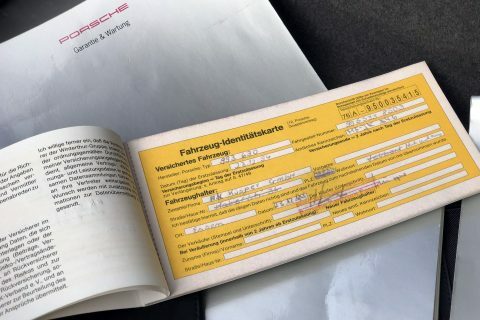 Porsche of Stuttgart also took over the maintenance of the car at a later stage, as evidenced in the service book’s stamps. 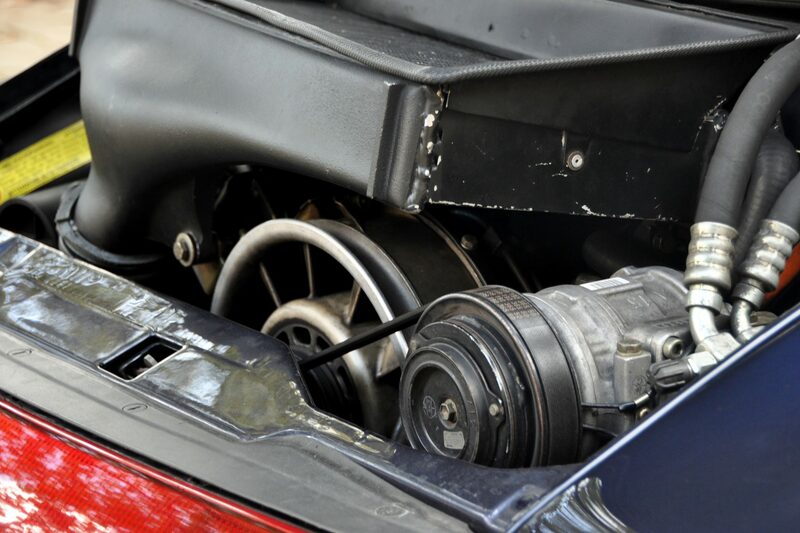 The car was purchased in the early 2010s by its second owner who kept the car only for a short time. By 2015 it was acquired by the third and current owner who has added minimal mileage since then, totaling a mere 96,000 km from new. 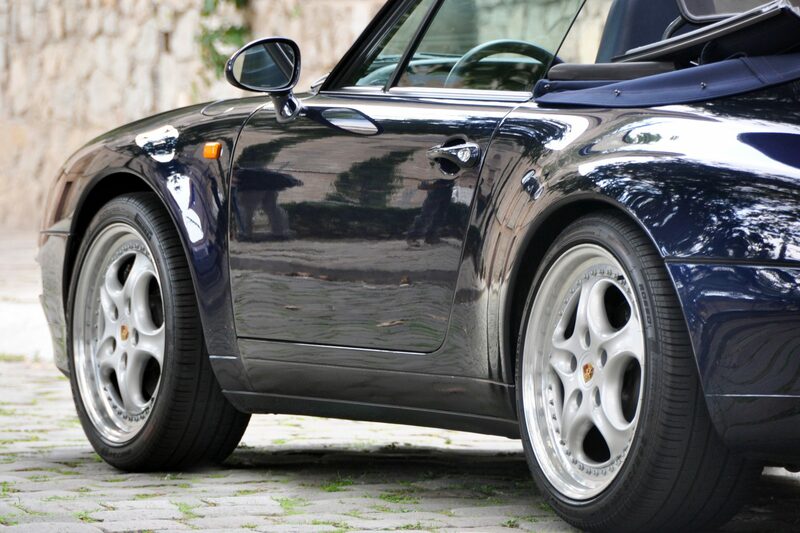 More recently the car went through an additional service at Porsche official dealer including a full high quality repaint at EUR 20.000,- cost. 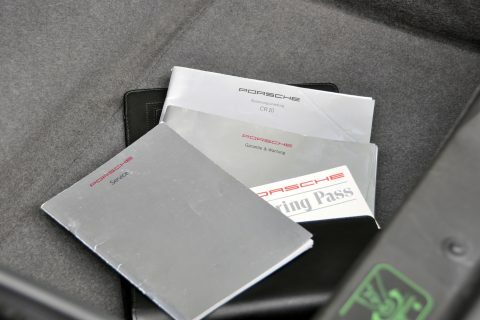 Accompanying the car is its complete original set of books, tools and service book. 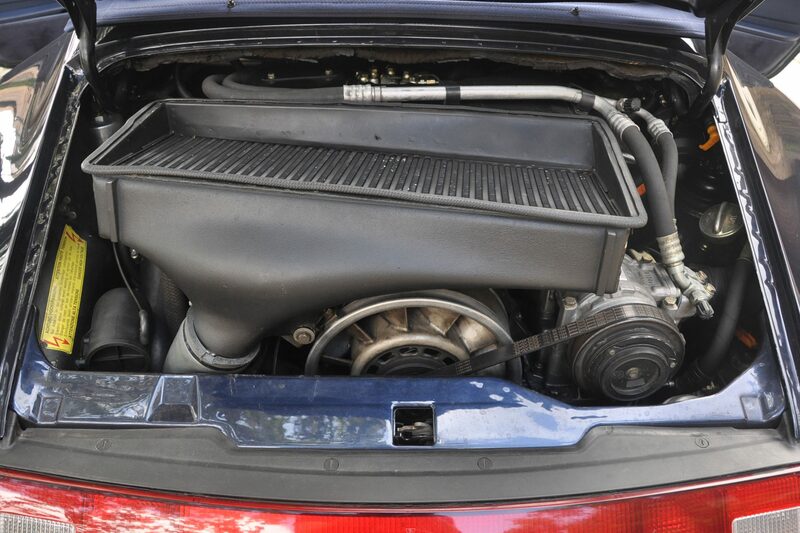 WP0ZZZ99ZSS338503 shows no traces of previous accident whatsoever and has received a proper maintenance by Porsche during its all life. 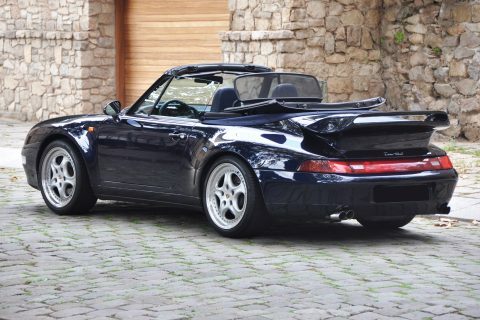 993 Turbo Cabriolet are extremely rare cars which surface very rarely on the market and represent a truly remarkable addition to any significant Porsche collection.